Join our Shared Christmas Party Lunch & City Cruise for an afternoon of Festive Fun. Enjoy the River Thames Sights as we cruise through the City of London, with a Festive Lunch & Dancing. An affordable Office Xmas Party with a difference! 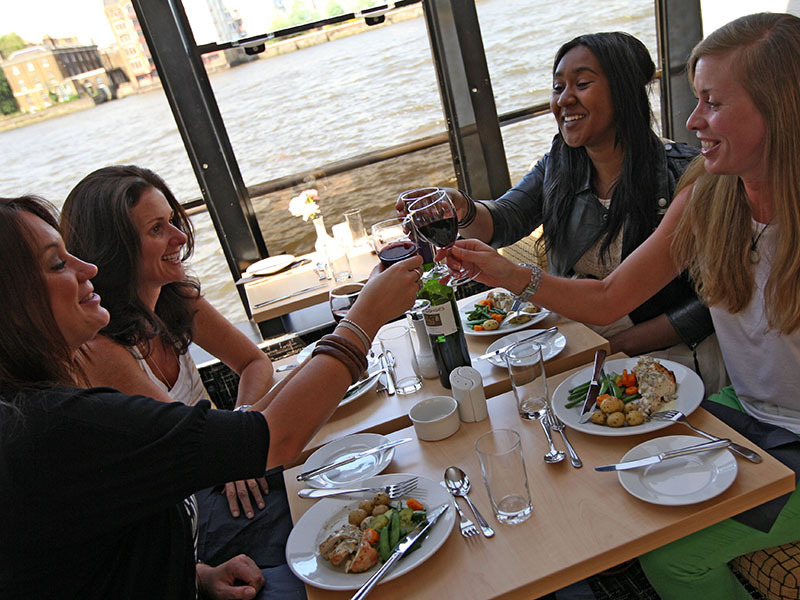 Enjoy an afternoon of River Thames sights whilst dining and dancing on-board a River cruiser. Guests will be seated at tables of 10, which are located in very close proximity to each other perfect for the festive spirit. Bookings with less than 10 will be sharing a table. Please select “Vegetarian” when making your booking. We do not guarantee that products are free from nuts or traces of nuts. For any special dietary requirements, please call us on 0203 551 3942. The cruise runs to a very strict timetable and unfortunately we cannot wait for any late arrivals. We recommend that you arrive no later than fifteen minutes prior to your scheduled boarding time to ensure that you are ready to board. The pier is situated next to Westminster Bridge, by the entrance to Westminster underground station, which connects you to the Circle, District and Jubilee lines. We do not accept any cancellations with any of our Christmas Cruises, if tickets are cancelled then 100% of the ticket price is payable by the client. The cruise operate regardless of the weather unless in conditions of poor visibility. The Captain will make the decision on the day if the cruise will not operate. You will be informed of your options on the day if this affects you. 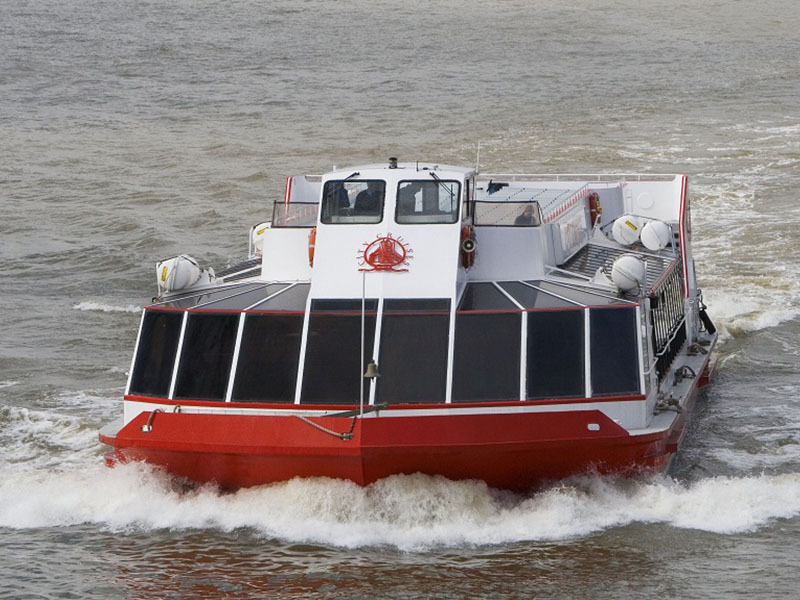 Our vessels are closed in so you will not be affected by wind, snow or rain. To book this cruise please either click the “BUY NOW” button on your preferred package and follow the online booking process or call our reservations team on 0203 551 3942 (open Monday – Friday 09.00 – 17.30).